Isolated poultry producers, beset by poor broadband coverage are receiving a helping hand thanks to a new partnership between telecommunications giant EE and agri-tech firm PrognostiX. “Broadband speeds in rural areas are extremely slow. They desperately need better connectivity,” he says. Alan Beynon, PrognostiX director, says farmers were already embracing technology and the opportunities to use real-time data to aid management decisions were tremendous. 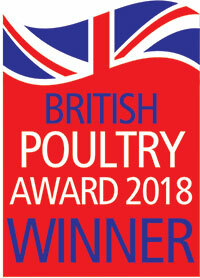 EE and PrognostiX have been working with Devonshire Poultry owner Robert Lanning at one of his six broiler farms high up on the Blackdown Hills to set up a connected farm project. Mr Lanning says the slow internet speeds were really hindering the business. “We were at the end of the line with regard to internet speeds and having to work with 2 megabits/second which meant that sometimes even sending a small email took an age. You could forget about using the computer on Saturday and Sunday evenings and it was having a real impact on our work. We were having to download stuff at the end of the day and ask staff to do work from their homes where the speed was quicker. My wife was struggling with the SAGE (accounting) package and the quarterly accounts were having to send laptops with internet cables to download information and even send the accounts using memory sticks. The last straw was trying to sell a generator online- I couldn’t even get on to e-Bay,” he says. 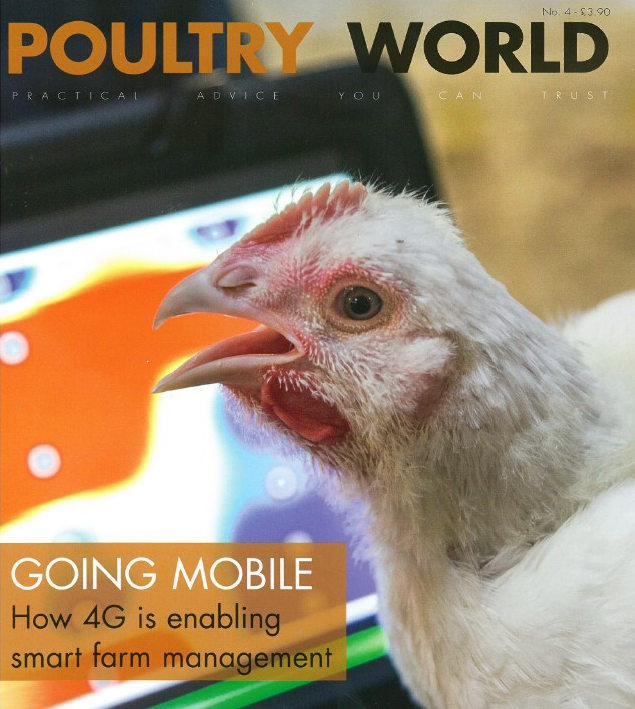 By incorporating Rapid Site, Mr Lanning has increased his download speed to 73 megabits/second, allowing the site to be hooked up to PrognostiX Predict and Prevent, enabling the installation of multiple ‘smart’ sensors in one of his poultry units that houses up to 50,000 birds. In the past, he had four hard-wired sensors providing real time, albeit slow, information about the temperature, humidity and carbon dioxide levels within the 27,000 sq ft shed. Now, with the advent of new technology, he has 36 sensors monitoring the birds, providing real-time information at speeds that were unthinkable just a year ago. Real time analysis can pick up, for example, any issues with the ventilation system much more quickly. Keith Evans, PrognostiX technical consultant, says the advent of low cost wireless sensors provided real potential to monitor the flock from a zonal perspective: “Rather than just looking at how a crop of 50,000 birds we faring, you can concentrate on zones of 5,000 birds.” Mr Lanning is keen to utilise battery powered wireless sensor portable weighing machines, and real-time water metering- both tools which will help farm management.”While there is nothing like staff picking up and weighing birds, we need to send in weights to 2 Sisters’ abbatoir at Willand two or three times a week and this would help provide information early of any deviation weights. ” I could see from a temperature perspective that these sensors could be right across the sector from the hatcheries to processing. Egg, chick, farm and transport temperatures could all be monitored,” he says. While he doesn’t think the additional information will add a premium to his birds, it is complementary to the policies of both Assured Chicken Production (ACP) and the Red Tractor Assurance (RTA) scheme. In addition to Rapid Site, PrognostiX and EE are also offering Connected Vehicle, which provides 4G WiFi on the move. “Vets and farmers increasingly demand internet access in the field. You can complete reports, access farm or veterinary records, and get work completed instantly rather than wait until you’re back in the office,” says Mr Evans.